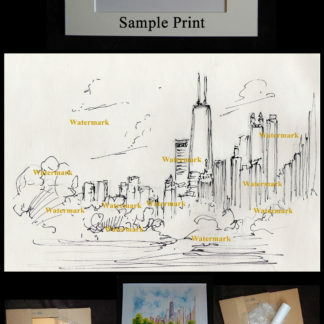 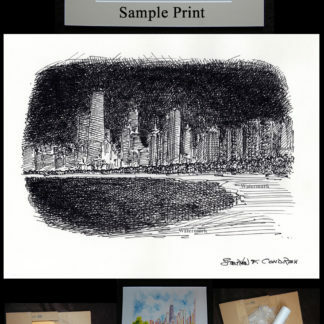 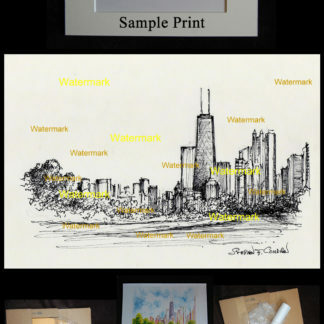 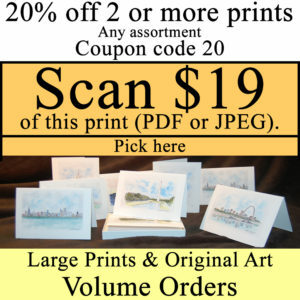 View cart “Chicago Skyline Pen & Ink Drawing Of North Lake Shore Drive #757A” has been added to your cart. 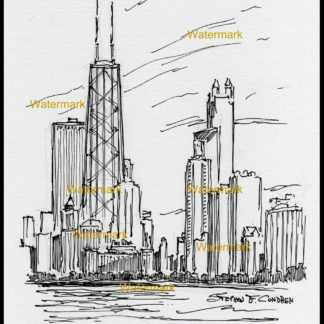 Chicago downtown skyline #741A pen & ink drawing, which is a cityscape stylus sketch, is for sale at discount with prints by artist Stephen F. Condren, BFA-SAIC, of Condren Galleries, a Fine Arts Gallery, offering JPEG & PDF scans. 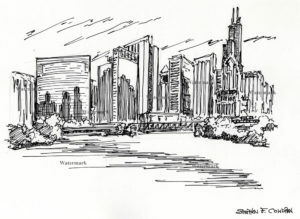 This pen & ink drawing is of the famous Chicago Loop located on the corner of the Chicago River with Wacker Drive. 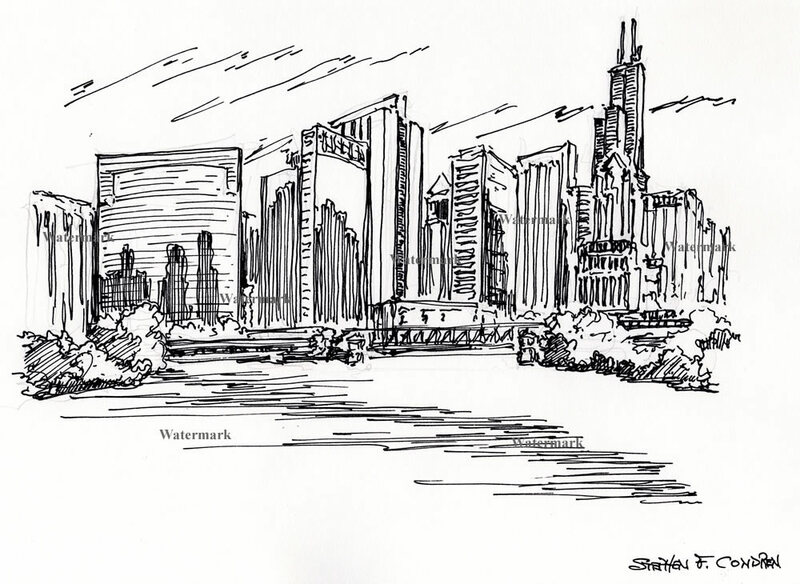 Wacker Drive has become the focus of more corporate offices in the Chicago Loop. 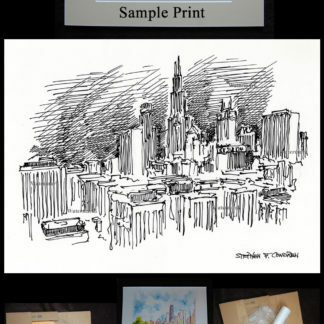 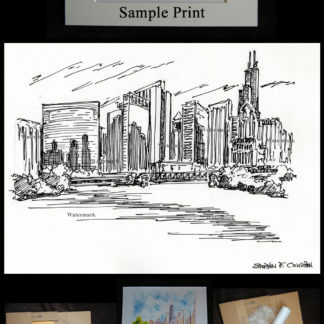 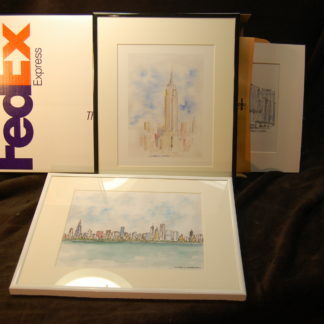 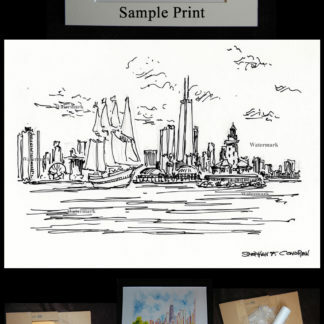 Because Chicago downtown skyline #741A is great, it’s prints are great! 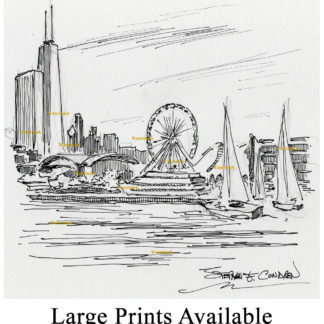 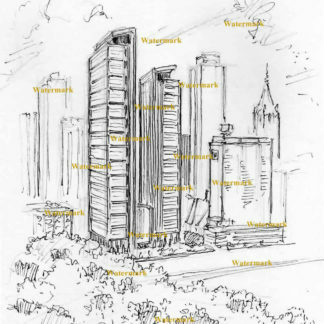 The eastern portion of the loop has become more focused on residential and service industries. 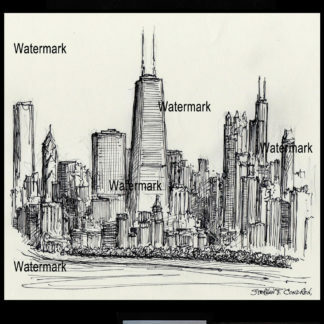 Many of the office building along Michigan Avenue have been converted into condominiums and lofts.